Installs on the peak of the roof allowing exhaust ventilation all along the roofline. Versatile and flexible one-piece aluminum design enables vent to fit roofs with 3/12 to 12/12. The ridge vent combines advanced design with simple, secure installation to provide outstanding performance. 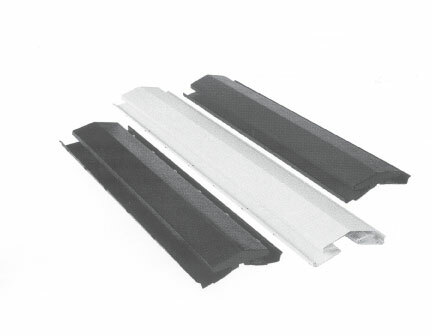 The Universal Ridge Vent is a molded Aluminum Ridge Vent that is available in a variety of colors. The Vent is installed across the entire ridge of the roof, creating a smooth line capping off the ridge. Connector Plugs available in both flexible PVC and Foam.